1924 Paris. Memorabilia – Medal & Badges. 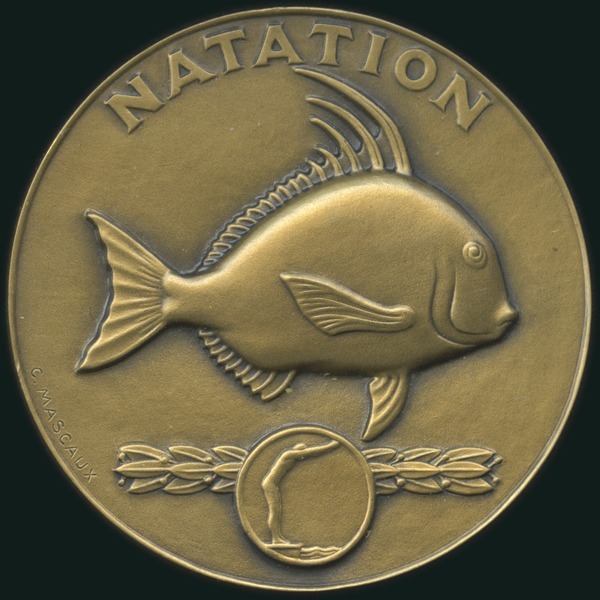 Miscellaneous: Swimming Sports Medal, 50mm, bronze, by Mascaux, showing a fish and inscribed „NATATION“ on front and rose wreath on reverse. Note: Mascaux won a bronze medal in the art competitions at the 1924 Summer Olympics for creating these seven sports medals.